Please visit the Events and Publications page for more details on the events, flyers to download and the link to the registration form. At the events a live experience of the Touristic City testbed and the Smart Sea Port testbed will be given to the visitors, together with details on the project’s main conceptual results, and the results of the (simulation-based) technical verification and socio-economic validation of concepts. 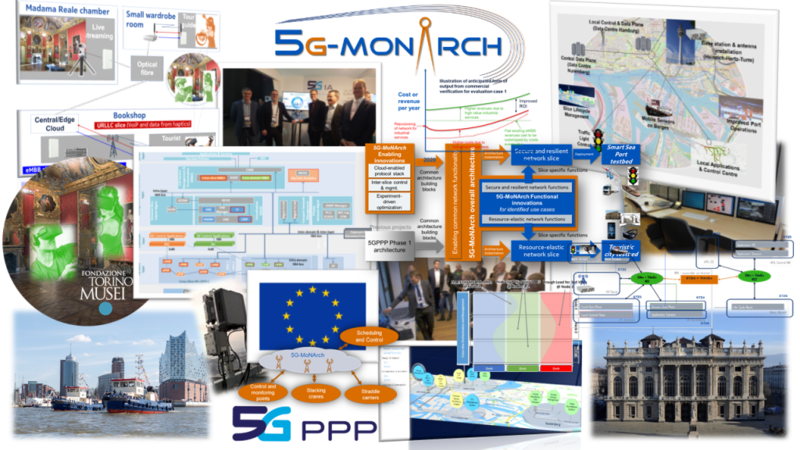 Thanks a lot to all participants of the 5G-MoNArch ICT2018 networking session! We received very helpful comments and feedback as input to our project’s work on 5G network slicing evaluation. Interesting from the project’s point of view are in particular that major current pain points are in the capabilities (latency, throughput, availability) of current networks, but the goals for future networking solutions add flexibility and use case / application-specific network solutions on top. The summary of the received feedback is available as a slide set here. 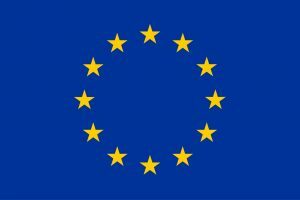 5G-MoNArch will spotlight the opportunities of 5G End-to-End network slicing in an interactive networking session for future connected businesses at the European ICT 2018 event in Vienna, Austria. Please find more information about the networking session on the FLYER. 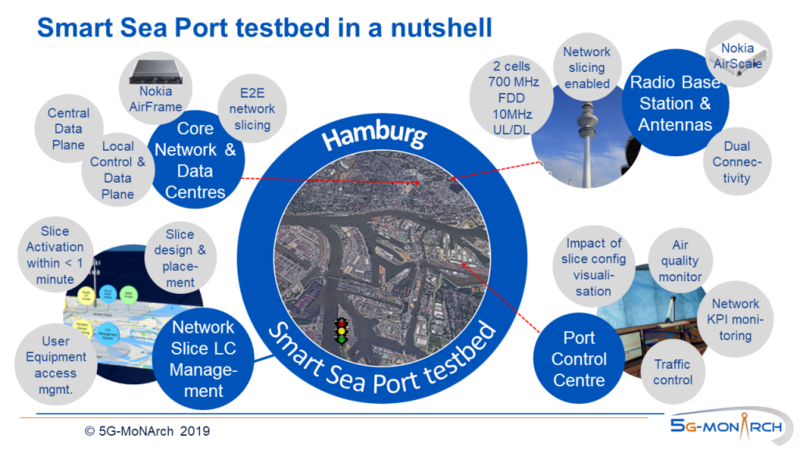 A full-day workshop with industry stakeholders for the Smart Sea Port testbed took place at the premises of Hamburg Port Authority (HPA) on November 6th, 2018, jointly organised by the 5G-MoNArch partners HPA, Deutsche Telekom and Nokia. The main goal of the workshop was to present and demonstrate the opportunities of 5G and network slicing in the port and logistics environment, and to discuss new applications and use cases. The workshop started with an overview on 5G as a key technology for the digitalisation of the industry, and a presentation on network slicing as a main opportunity to customise networks for different businesses. 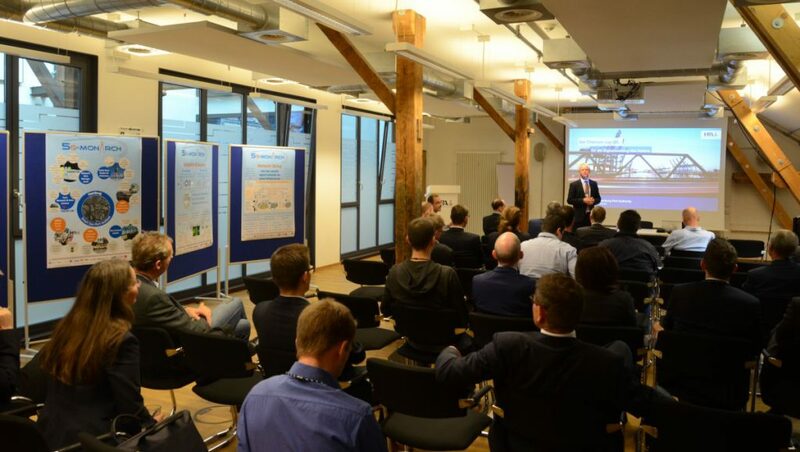 After a keynote speech on the goals and the status of digitalisation in the Hamburg port, the three use cases implemented in the Smart Sea Port testbed were presented in life demonstrations to the auditory and the press. The very positive feedback accentuated the advantages and prospects, but also the expecations of the stakeholders on 5G and network slicing with respect to reliability, flexibility and security. 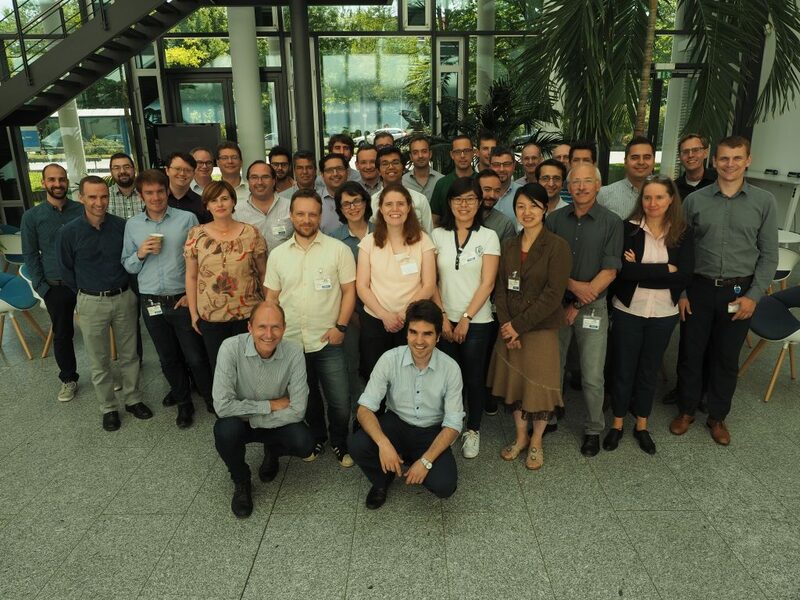 The kickoff meeting of the 5G-MoNArch project took place in Munich from July 4-6, 2017. Since most of the work packages started together, it was an intense exercise, but with good progress in setting the baselines. 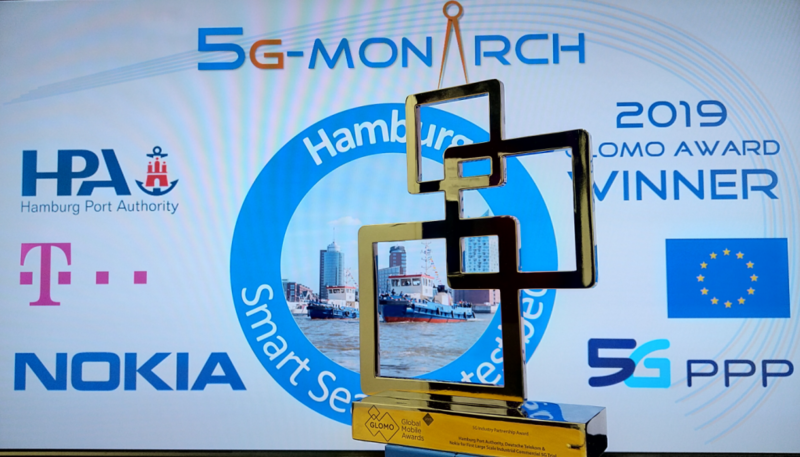 Author MoNArchWPadminPosted on 2017-08-03 2018-05-21 Leave a comment on 5G-MoNArch has started!